Thompson Bros. Boat Manufacturing Co. first started its production in the northern town of Peshtigo, Wisconsin in the year 1904, the legacy of a family boat-building business thus began. 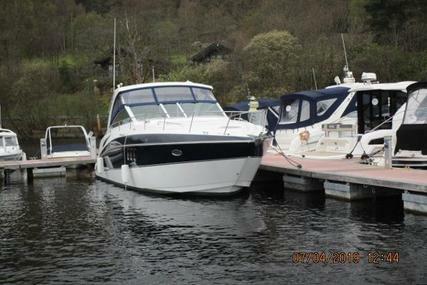 They always thought big and confident in the craft and durability they achieved in the boat industry. In the early 1950s the second generation of Thompson's started building wood lapstrake outboard Cabin Cruisers in Oconto, Wisconsin. The Cruisers, Inc. catalog debuted in 1956, before that the company was building 14' and 16' boats under the Thompson Bros. label. 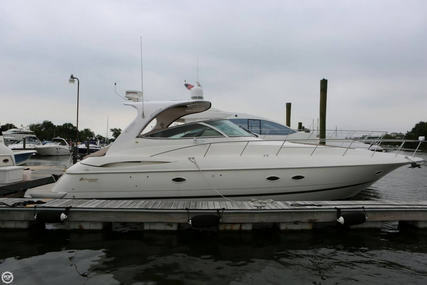 In 1993 Stock's KC International Inc. owned the company and changed its name to Cruisers Yachts. 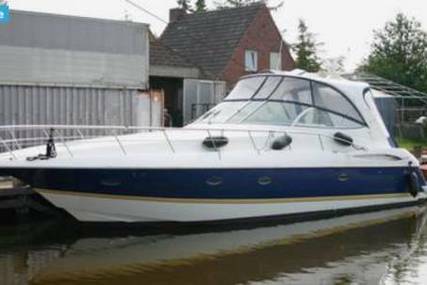 KCS International owns Cruisers Yachts which is a brand of pleasure boats that are finely crafted, high-quality yachts of distinction. 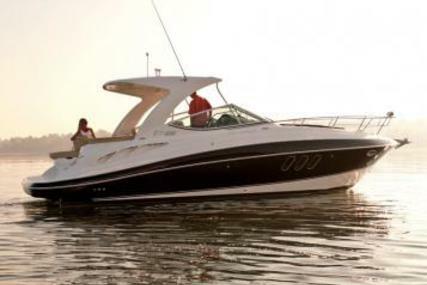 The company builds boats ranging from 30 feet - 58 feet, and is headquartered in Oconto, Wisconsin and was one of the first boat builders to utilize the Volvo Penta IPS propulsion system. 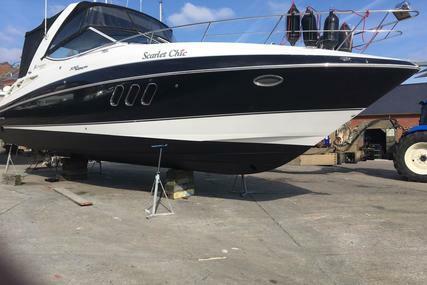 For the Thompson brothers', Cruisers Yachts and Sport boats are more than just boats, they're family. The quality boats are the result of their commitment that produced finely crafted, high-quality yachts with comfort, style, and luxury yachts. Cruiser yachts set a new standard for having fun on the water in style. 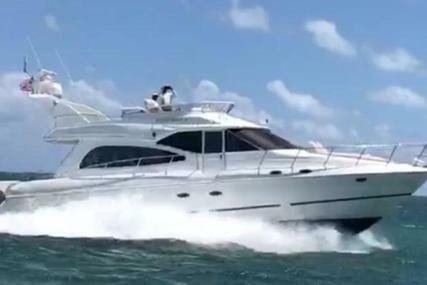 Select from the many Cruiser Yachts for Sale listed at www.rightboat.com and step aboard for a quality ride on the water enjoying comfort, style, luxury, space, quality performance, and elegance. 1. When was Cruiser Yachts founded? 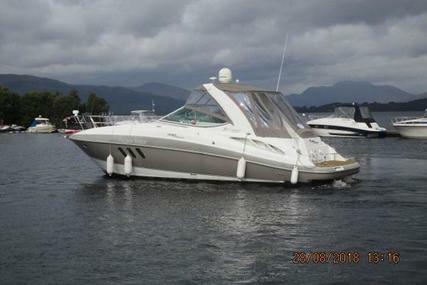 Cruiser Yachts was founded in the year 1953 by Thompson brothers'. 2. Where is the Headquarters of Cruiser Yachts located? The Cruiser Yachts headquarters is in Oconto, Wisconsin, U.S.A.
3. 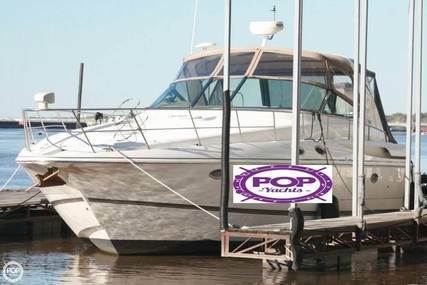 What is the name of the parent company of Cruiser Yachts? The name of the parent company of Cruiser Yachts is KCS International Inc.
4. What are the special features of the Cruiser Yachts ‘yachts’ models? The Cruiser range yachts are stylish and luxurious, designed with versatility, unrivaled quality, style, and luxury. 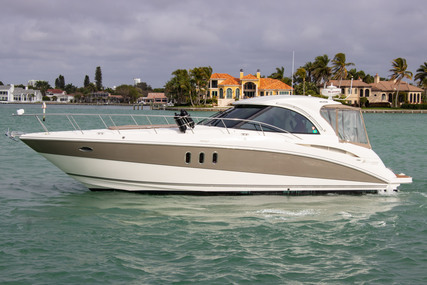 It offers an incomparable view, extraordinary piloting from Flybridge Yachts, spacious helm and lounge, and features a sleek hardtop for shade and safety from the elements for unmatched comfort. It is comfortable, spacious, powerful, extravagant, elegant, versatile and boasts a style and charm that is matchless. 54 Fly - 53' 7"
It takes you to the end of your horizon and beyond and gives a set of superior amenities and features for a truly exceptional experience on the water. 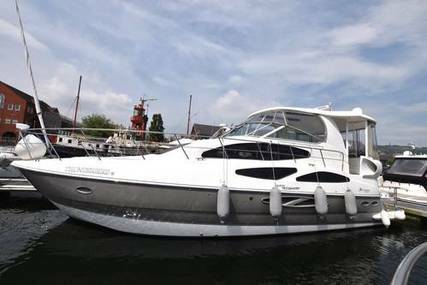 54 Cantius - 53' 7"
It is breathtaking, free-spirited, envisaged for those who live spontaneous and joyous life on and off the water. 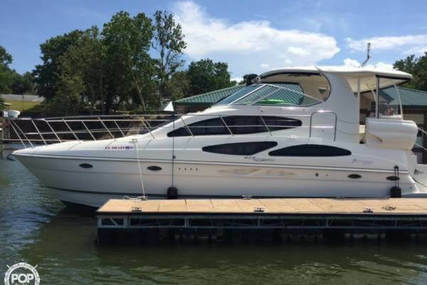 50 Cantius - 49' 5"
It is perfect for weekend adventures as well as extended trips, offering luxury and it functions in a space that accommodates all in comfort. 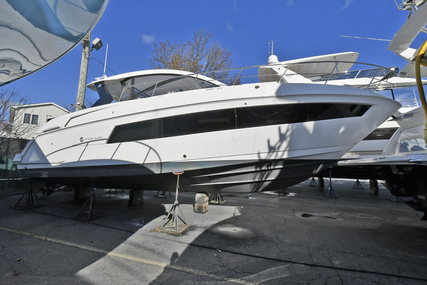 42 Cantius - 43' 2"
It woos you with serenity, elegance, and sophistication and is an ultimate destination for relaxation. 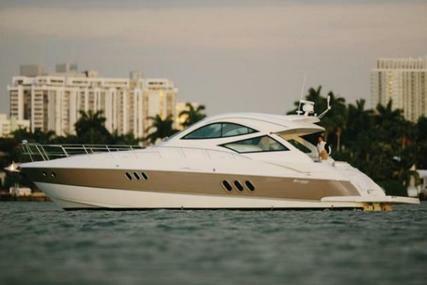 45 Cantius - 47' 6"
It is an elegantly designed yacht that gives the best of both worlds aboard with its splendid and comfortable interiors that beautifully incorporates the sky, wind, and water around, expanding your encounter beyond the horizon. 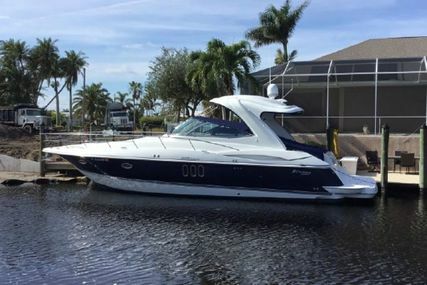 39 Express Coupe - 39' 3"
It is ideal for family cruising as it makes you feel at home on the water with ample room to both play and relax. 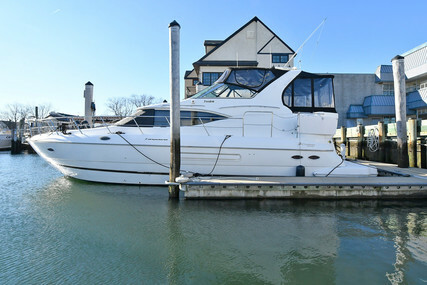 38 Express - 38' 6"
It is beautifully designed and filled with surprisingly unrivaled features, options, and flawless style. 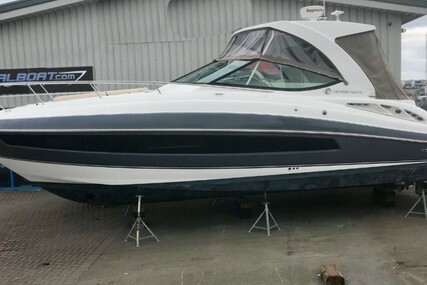 35 Express - 35' 10"
It is elegant, beautiful and comfortable, delivering an excellent adventure and an incredible sports performance for all onboard. 5. What are the special features of the Cruiser Yachts ‘sport series’ models? 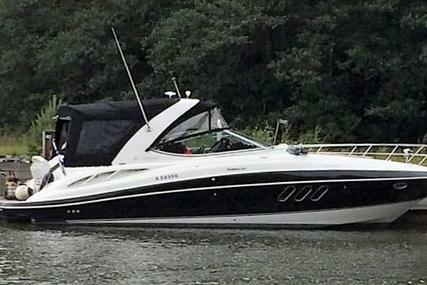 Cruiser Yachts ‘sport series’ models are fast and stylish, smooth and comfortable. 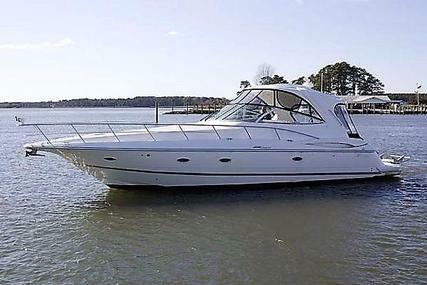 338 South Beach Bowrider - 32' 11"
It delivers a sporty performance in an elegantly styled vessel. 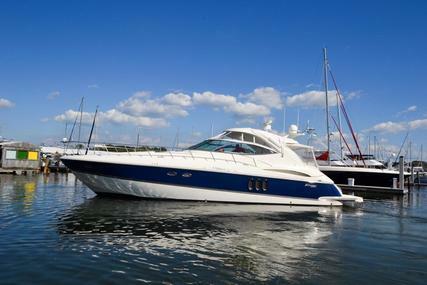 338 Palm Beach Bowrider - 32' 11"
It takes you to new horizons with confidence and stunning looks. 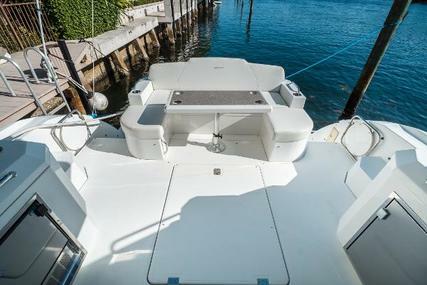 338 Bowrider - 32' 11"
It is a majestic vessel with optimal performance, amazing seating and storage options with an incredible design. It enables you to reconnect with near and dear ones in style and comfort. It permits personal journeys to be measured not by miles but by friends and family. 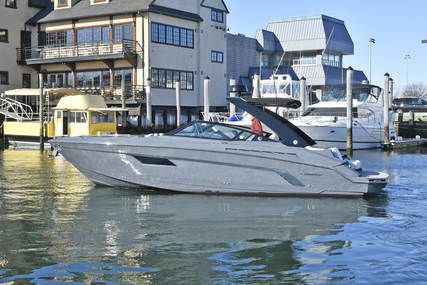 It is sleek, has a custom-built aluminum tower, boasts a commanding gray hull, and provides an ultra-lux comfort. 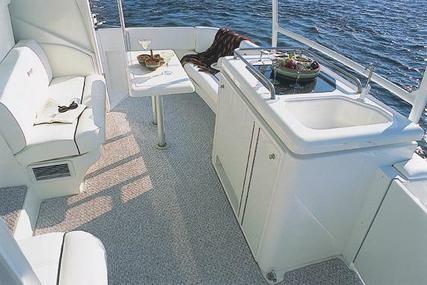 It is a memory-making sport boat with comfort and style that has plenty of seating arrangements and unmatched storage options. 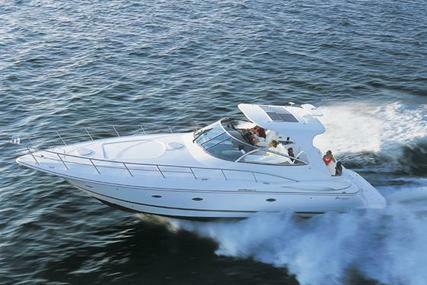 It is for supreme boaters providing comfort and all the thrills and surprises that come with spirited performance. 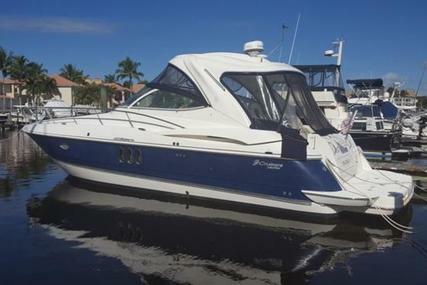 238 Bowrider - 23' 8"
It is loaded with an amazing list of unique features that provide you with the optimum sport boating experience. 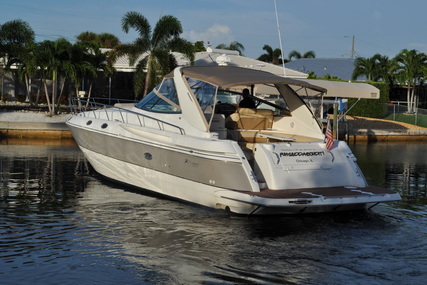 315 Express Cruiser Series - 31' 3"
It is spacious with ample room above and below deck. 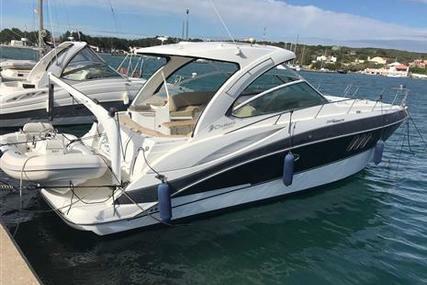 It is a crossover of yacht and sportboat which is perfect as an all-inclusive getaway letting you enjoy your journey in it.